Why Choose a PADI Certification? 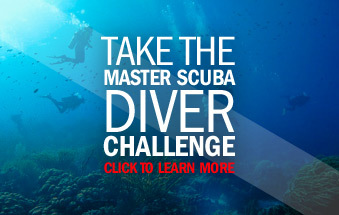 PADI is the most recognized dive certification in the world! Where ever you dive PADI will be there! The PADI instructional method that we use at Northwest Scuba provides you with not only instruction, but reference books, videos, pool training, and access to our PADI dive instructors and course directors. Dive anywhere, dive anytime, and dive without a required checkout dive! The other agencies may be fairly large in their home areas (SSI in the USA, BSAC in Britain, JUDF in Japan, to name but a few) but their cards may not be well recognized in other parts of the world. In some areas divers holding cards from other agencies may be required to do a checkout dive or, in fact, may not be allowed to dive. Get the most up to date course content, dive planning tools, and videos with your course through Northwest Scuba. Our scuba courses provide you with everything you’ll need to ensure you have anenjoyable and stress free diving experience!